Announcing my Botswana safari for 2017 is now available for you to join! 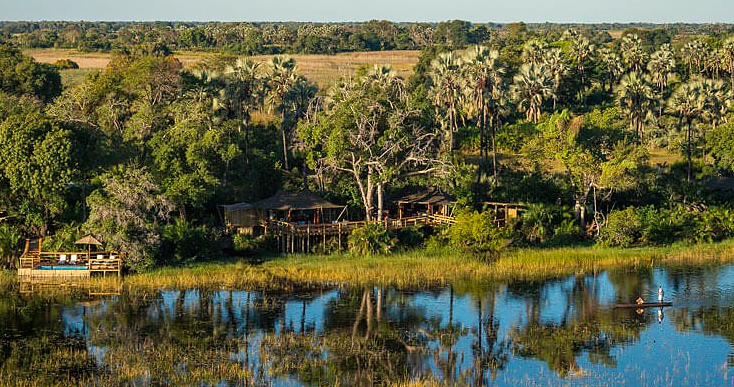 This is an exclusive safari for just 8 people with me, combining the World Heritage wetlands and wildlife fiesta of the Okavango Delta, the elephant-rich woodlands of the Khwai region and the Makgadigadi Pan among the San Bushmen. It’s 7 nights in one of the world’s last great wildernesses and a safari not to be missed if you love animals and Africa at its wildest! One of the great things about being in Botswana is you can see lions like this big guy at close range and completely unworried about our vehicle. 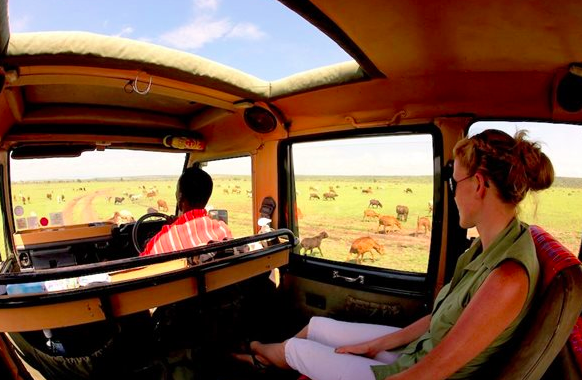 As with all my safaris, we’ve focused on ethical safari camps that make a difference, but also keeping to the highest standard, especially when it comes to the wildlife experience. On my last Botswana safari, my group were blown away by how much wildlife we saw at close range, including lion after lion after lion, tonnes of elephants (Botswana has the largest elephant population in Africa), spotted hyaena pups at a den, African wild dogs stalking a giraffe, cheetah, baby impalas…. We were there then in the low season (green season) but this time we’re going just after the Okavango floods so we will see the wetlands in all their glory! Take a look at the amazing shots from my 2014 safari to Botswana here. As with all the safaris I personally lead, I’ll be talking through the animal behaviours and conservation issues as we go along, and there are always great conversations by the campfire after a day out in the bush. Seeing the Delta from a mokoro is a must-do experience and incredibly peaceful. Last time we were lucky enough to see some sitatunga! 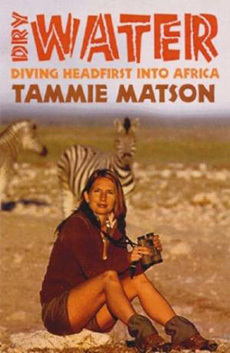 You will make your way from wherever you are in the world to Maun, Botswana, where the safari starts and ends. International flights are not included in the price, but all internal flights and transfers from the start of the safari in Maun to the end in Maun are included, as are all activities, meals, drinks, conservation and park fees. June 18: Light aircraft charter from Khwai area to Pelo Camp for 2 nights, to experience the wetlands for which the Okavango is famous. 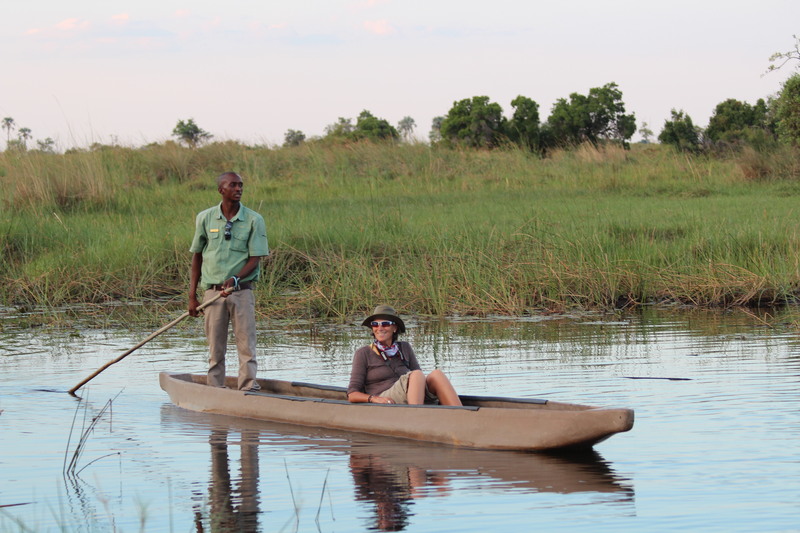 Here we will try out a mokoro (wooden dugout canoe) to see the wildlife up close on the water. June 20: Light aircraft charter from Pelo Camp to Maun, followed by 1 hour road transfer to Meno a Kwena Camp, where we will overnight for 3 nights. 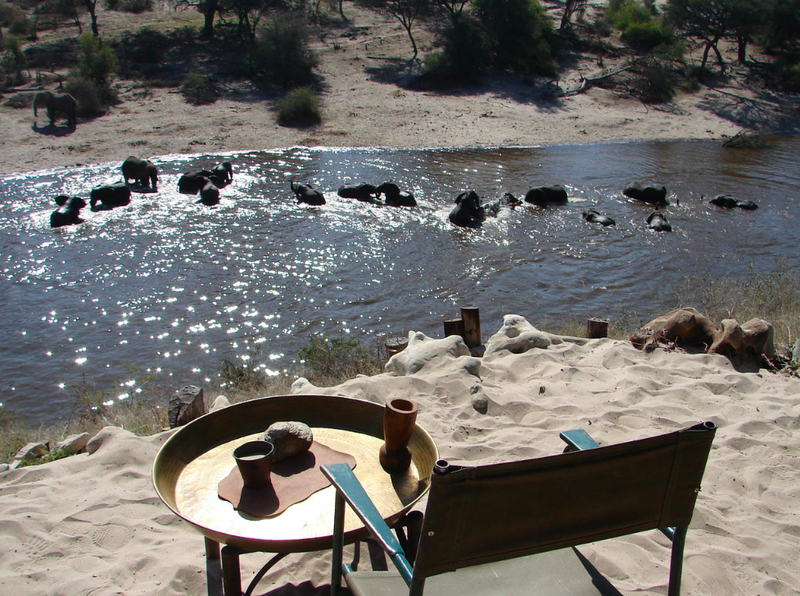 Experience traditional life on a walk with the Bushmen, watch the elephants and other wildlife drinking at the river in front of camp (including at a floating hide on the Boteti River! 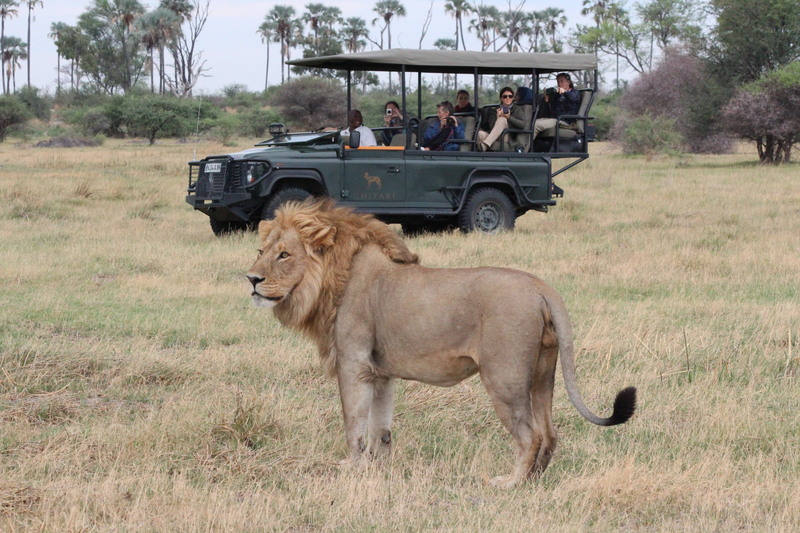 ), and see desert-adapted wildlife in the Makgadigadi Pans National Park or the Central Kalahari Game Reserve, both within easy reach of the camp. We can even do a sleep out on bedrolls in the park if you like! Click here for more on Meno a Kwena Camp & activities. June 23: Return to Maun by 1 hour road transfer for your international flight out. Only 8 people can come on this safari with me as I am limited by room availability, so please register your interest ASAP! Price is US$5900/person sharing. The price goes down to US$5750/person if you bring a friend to share your room! Note this includes almost everything other than your international flights. You will need to keep some money aside for souvenirs and tips, but there are no visa entry fees for Botswana. Single supplement for those who want their own room is possible. 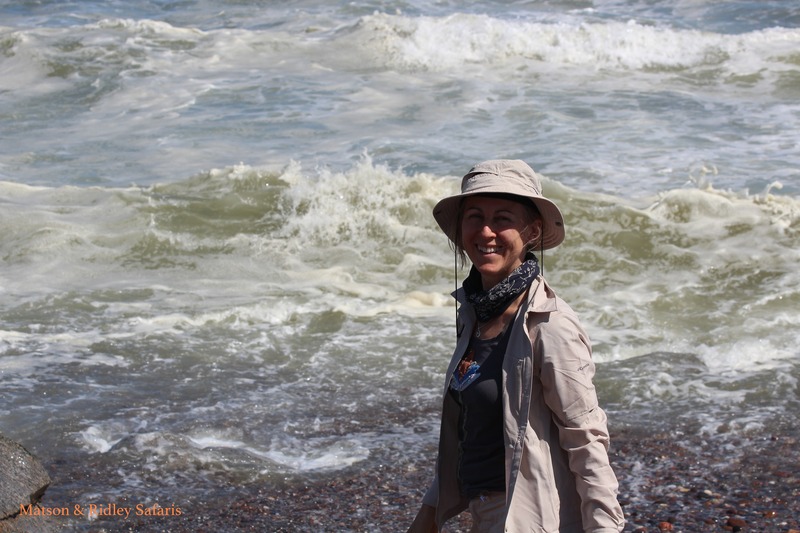 This photo of young Aussie wildlife crusader Alice Bertram was taken at Banoka Camp in 2014 during my group safari, just near where our 2017 safari will be going first…. 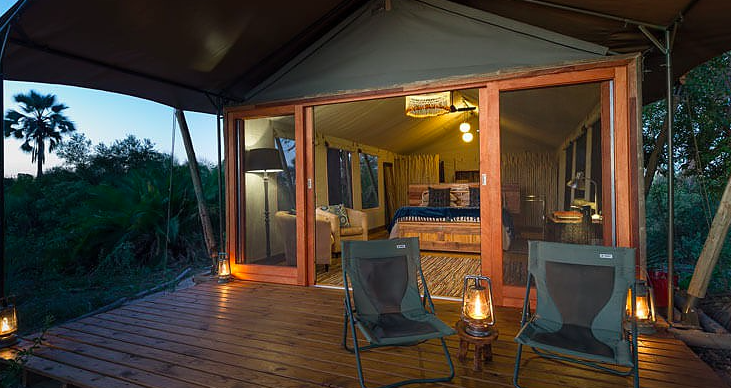 Pelo Camp, inside a guest room – boutique luxury in the bush… I love being behind canvas at night in Botswana as it lets all the wonderful sounds of the animal world in (while keeping the lions out!). 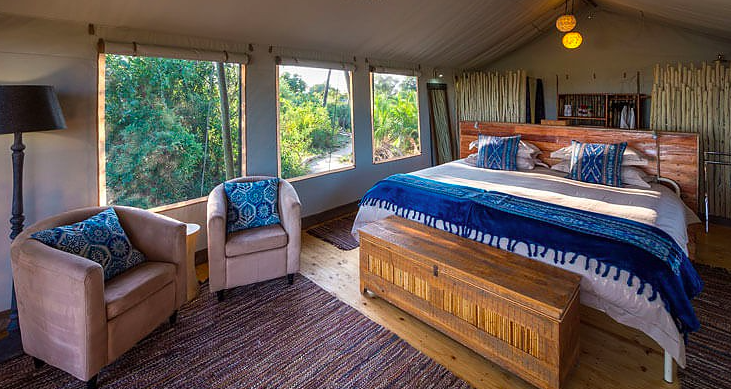 Pelo Camp guest room – the exact right amount of comfort in the bush…. 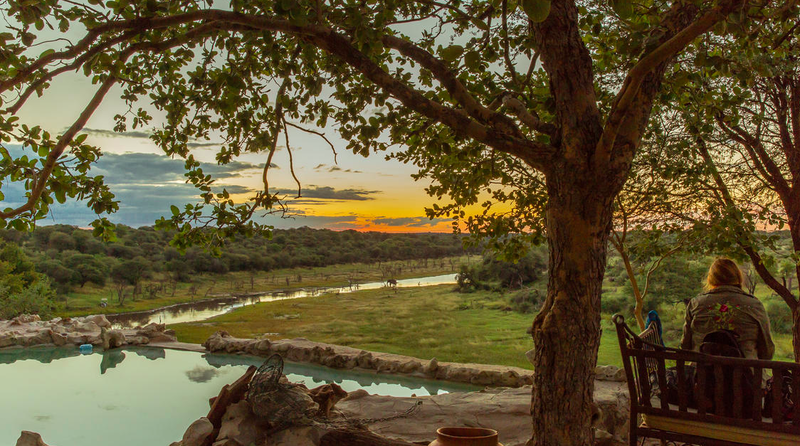 Watch the elephants in the river at sunset while you have your own relaxing time in the pool at Meno a Kwena Camp. Look at that sky! 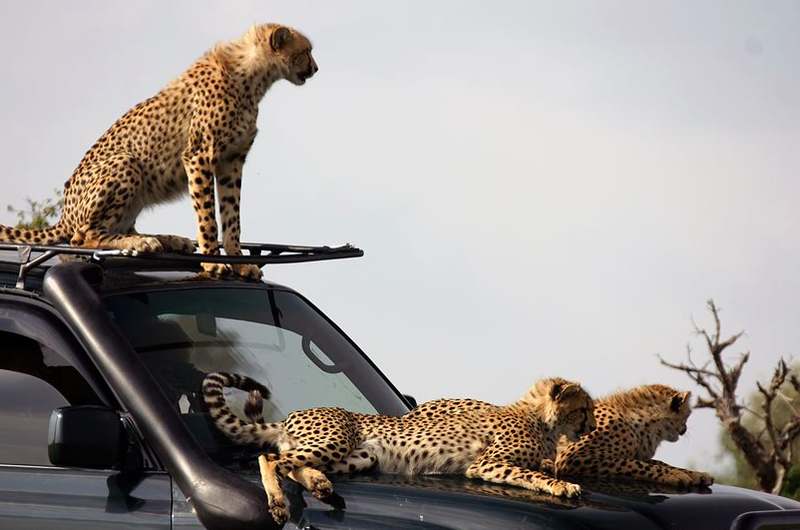 What more could you want from an African safari? I’d love to have you along with me on this magical journey into the heartland of Africa’s elephants, Botswana, in June 2017. Contact me for the full itinerary now and register your interest! 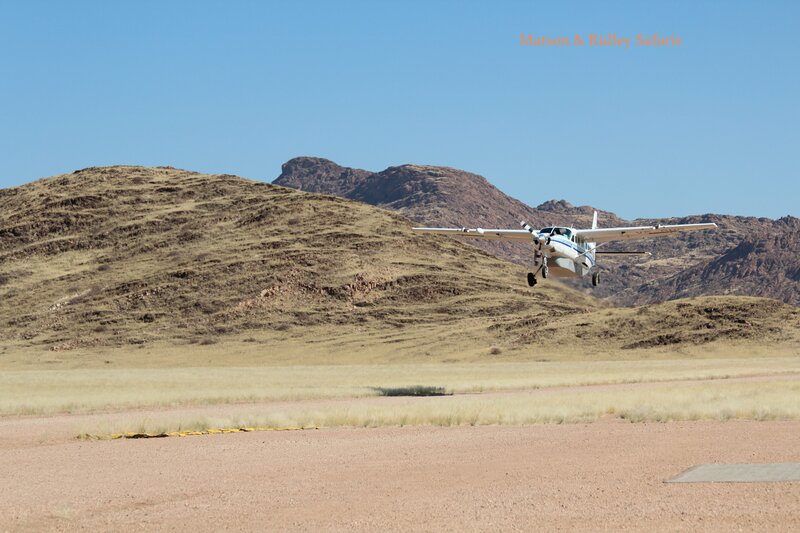 How does one summarise a week in Namibia’s rugged Kunene region, one of the wildest parts of Africa? It was just one wow moment after another! There was the cheetah mother with two cubs who killed a springbok male in the dry Hoanib River bed, the chameleon laying eggs at the Skeleton Coast, the drive through the dunes to the violent Atlantic Ocean where hundreds of seals frolicked in the crashing waves, meeting the traditional Himbas in Marienfluss Conservancy and of course, the desert lions (with cubs!) and desert-dwelling elephants…. And then there is those epic landscapes, so huge and awe-inspiring that you feel so small and incredibly humbled by it all. 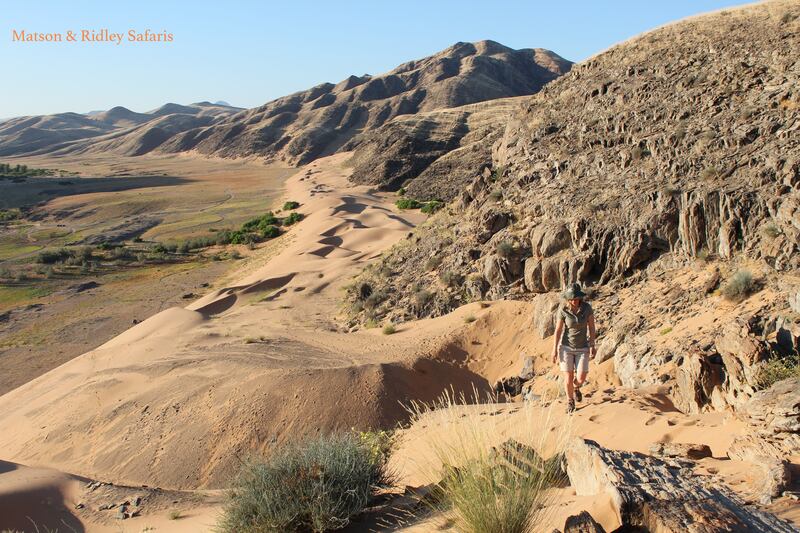 It’s hard to sum up north west Namibia in one blog because it’s so much more than a holiday – it’s a life changing experience and a grand adventure! I think the photos tell the story so let’s start with that…. 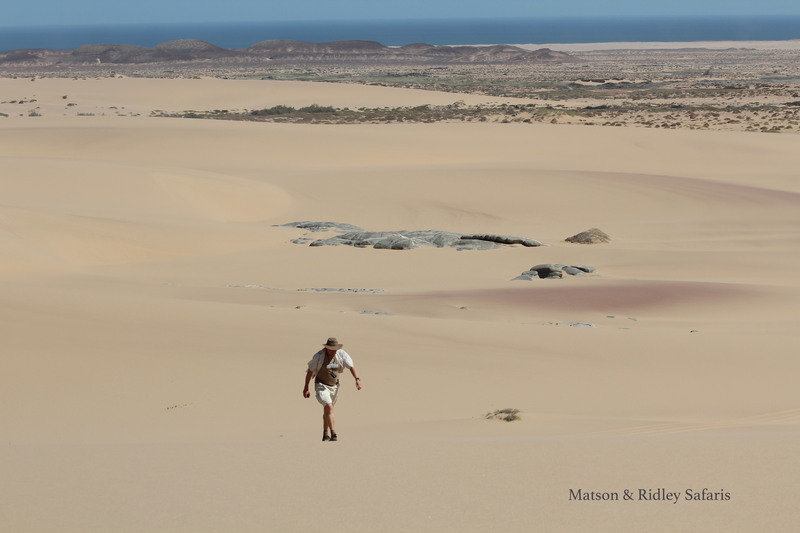 This week I’m sharing a few of my pictures from the Hoanib River and Skeleton Coast. Next week stay tuned for photos from Serra Cafema in the Marienfluss Conservancy, home to the Himba people. 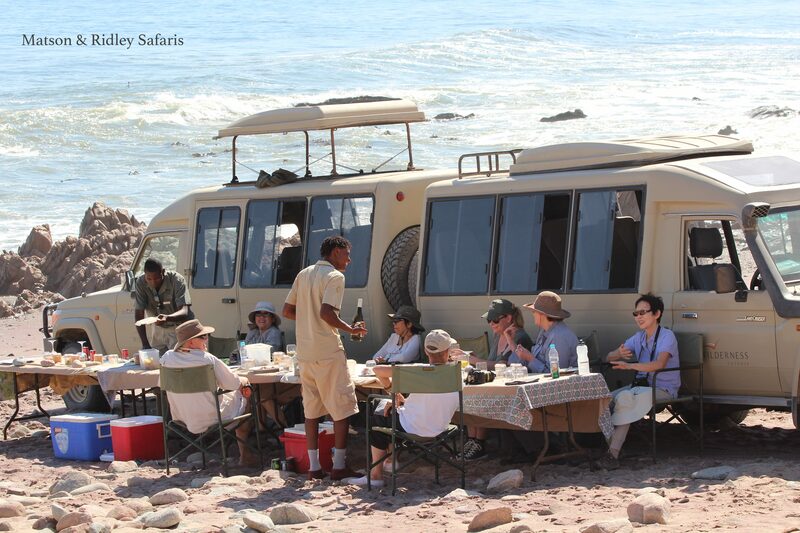 Hoanib Skeleton Coast Camp is a joint venture between Wilderness Safaris and local people in three conservancies, Sesfontein, Anabeb and Torra. 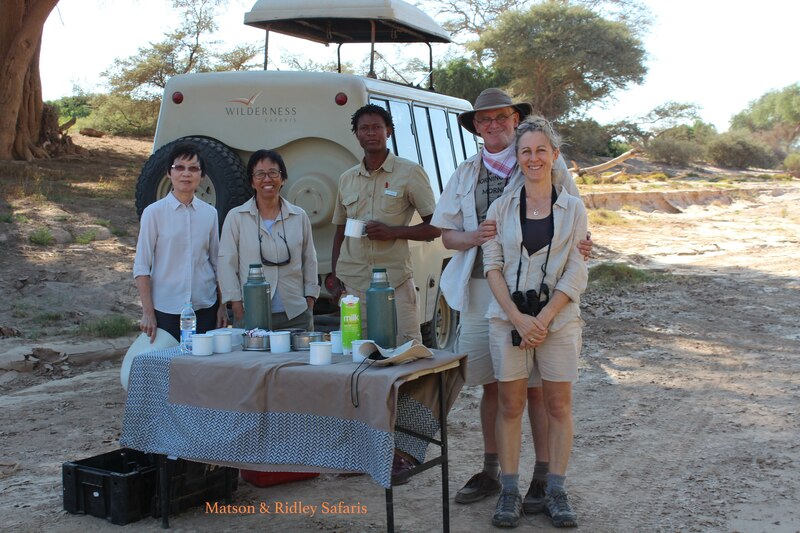 Matson & Ridley Safaris also made a donation to the Giraffe Conservation Foundation from this safari. I want to thank Helen, Chuan Fong, Patricia, Maggie, Jo, Leonie, Tristan and Carina for being such intrepid desert adventurers and great company, and I really hope we meet again by the campfire soon. I love the dawn light in Namibia. There’s a short time where everything turns a rosey-apricot. Just before that time, all seems peaceful and cool, before the suns rays bear down on the desert sands. 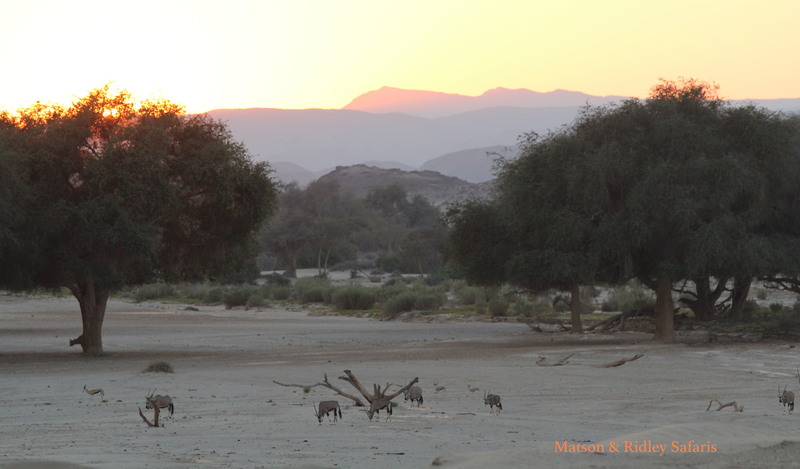 This photo of a herd of oryx was taken at sunrise in the Hoanib River. Just a few months earlier, this river had run, something very rarely seen in this neck of the woods. It had barely rained in camp, but there was more rain inland, enough to cause the river to run, and even a little rain makes a huge difference in arid landscapes. Desert-dwelling giraffes or desert lion-prey (depending on how you look at it!) are a frequently sighted species in the Hoanib River ecosystem. The tall, shady Ana trees (Faedherbia albida) that line the dry Hoanib River all bear browse lines at giraffe/elephant height and were providing a rich source of protein for many species with all their dropping pods when we were there. When you first arrive at Hoanib it’s like you’ve landed on the moon. You wonder how could anything live here with so little food and water? And then you go down into the river and you realise just how much life is there, and what amazing adaptations the animals and plants have to living in this hostile, arid environment. 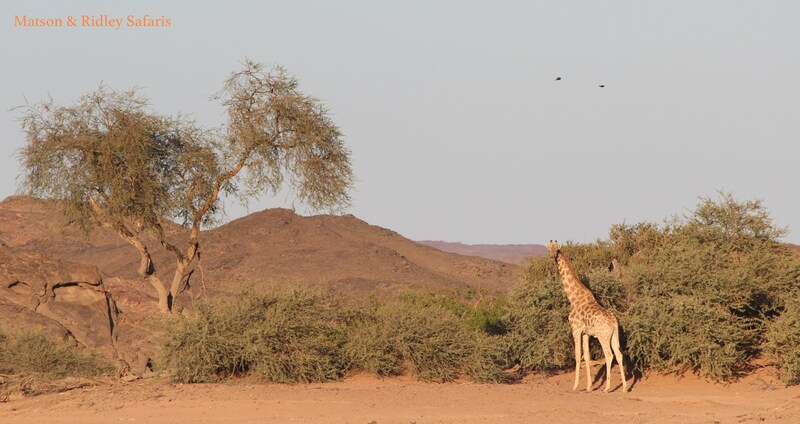 Our group loved hearing more about desert-dwelling giraffes from Dr Julian Fennessy on our last night on safari, and you can support the work of the Giraffe Conservation Foundation, one of the projects we at Matson & Ridley Safaris support, by checking out their website. And don’t forget 21 June is World Giraffe Day! Springboks feast on freshly fallen pods of Acacia and Ana trees in the Hoanib River, as well as the water-filled ‘ostrich salad’ (seen here in the foreground). When the fog rolls in from the Atlantic Ocean about 60 km to the west, this replenishes the succulent plants that they eat, and so springbok rarely need to drink as they get enough water from their food. Unfortunately during our time at Hoanib the infamous ‘east wind’ prevailed on the coast, bringing very hot winds from the inland, preventing the fog rolling in from the ocean, and bringing temperatures up to almost 40 degrees Celcius in the sun. You can never predict the weather in this country! It was a fresh reminder to me that you always have to prepare for possible extreme heat and extreme cold in the desert. Springboks enjoying the green pickings while it lasts at the floodplain at the end of the Hoanib River near the Atlantic Ocean. 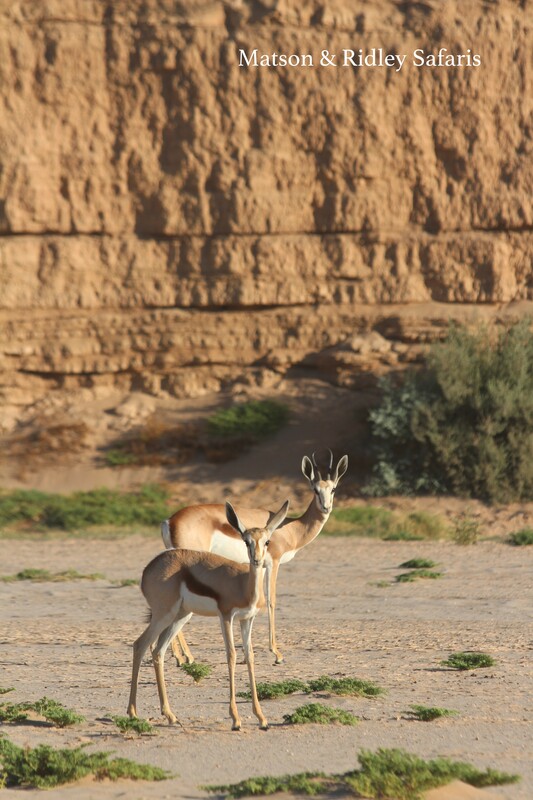 Springbok are so well camouflaged in the desert and their white under belly allows heat to be deflected off the oven-hot ground as the day warms up. Just a few hours in to our drive to the Skeleton Coast, our Wilderness Safaris guides Elias and Liberty spotted fresh lion tracks. Searching for them on both sides of the river, following their tracks, we eventually found the two lionesses and 3 young cubs, lazing in the shade. The two lionesses are stars in the brilliant new National Geographic documentary, “Vanishing Kings“, and these incredible desert mamas provide for themselves and their offspring in formidable, harsh conditions. These lions are specialised giraffe hunters, no mean feat for just two of them. For a while there they were also feeding their 5 almost grown up sons! 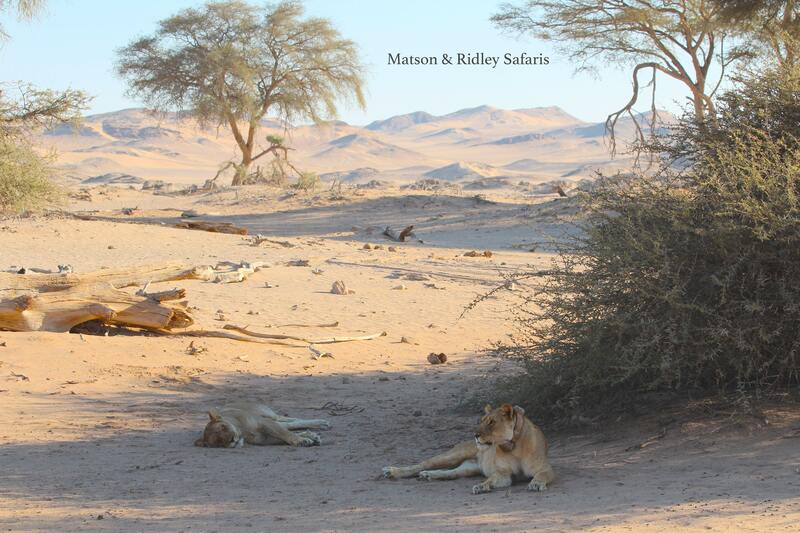 The desert-dwelling lions in this area are part of a long term study by lion expert Dr Philip Stander. 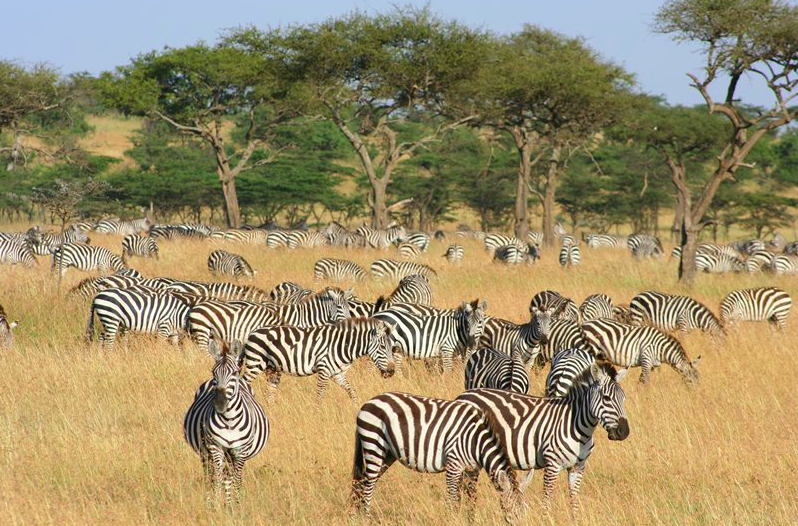 They have huge home ranges and often must walk a very long way to find food in these arid conditions. The next generation of desert-dwelling lions is crucial to the survival of this population. Desert-adapted lions often move out of protected areas and come into contact with people and their livestock in rural areas, creating obvious conflicts with local people who consider their cows to be the equivalent of money and status. They can be shot or poisoned by farmers who do not want them threatening their cattle. While we were there, the ‘five musketeers’ (the 5 lions who are the offspring of these two females, now fully grown) had wandered up to Purros Conservancy and out of the safety of the park, creating concerns among the staff at Hoanib Camp. We wondered what the future held for these 3 small female cubs. A fourth cub, their sibling, had been washed away in the January flood. At least with the two lionesses teaching them how to survive, they have great examples to follow. 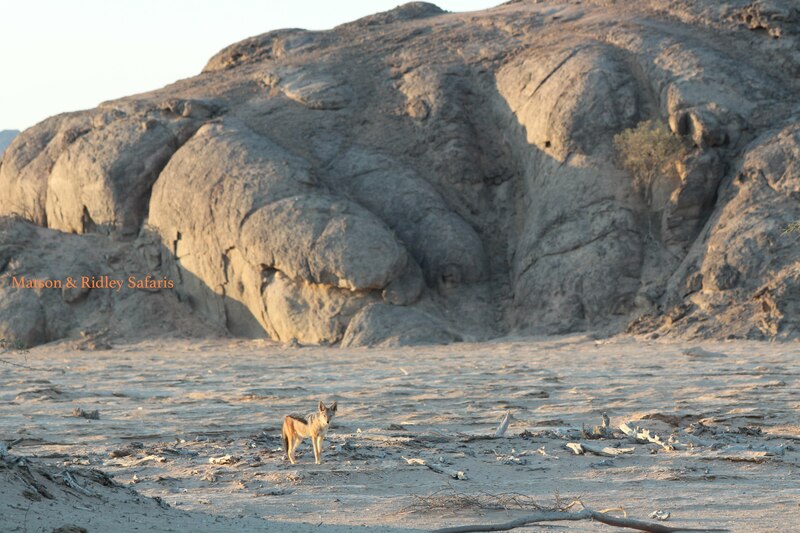 Black-backed jackal – a common scavenger at Hoanib, and never far from the lions! 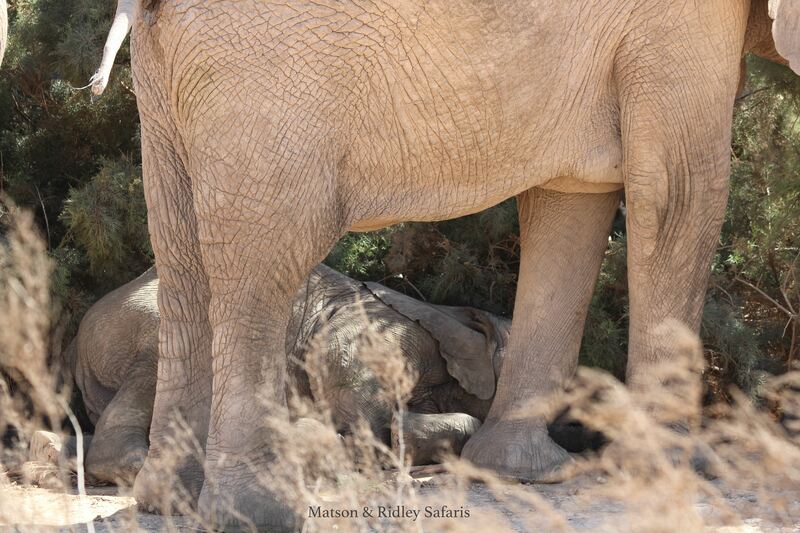 When a baby elephant lies down beside its mother right beside you, you know it’s feeling pretty relaxed. It’s a privilege to see this. 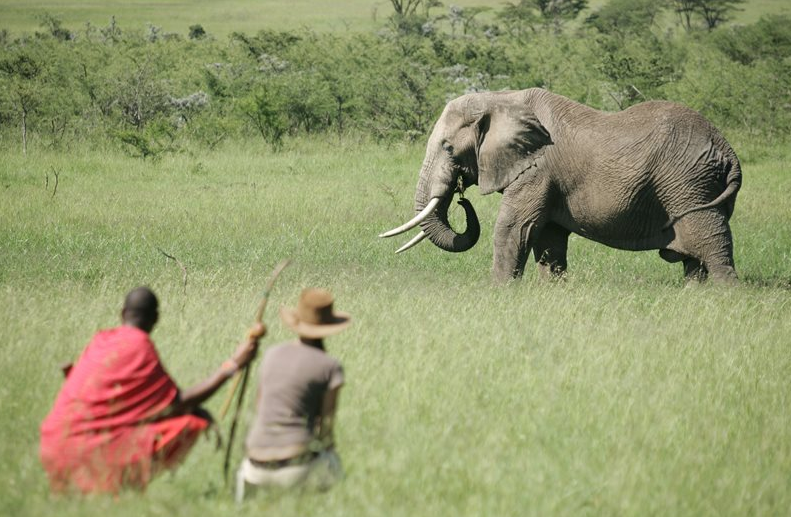 In other parts of Africa, elephants can never relax due to the presence of poachers for the ivory trade. This herd of desert-dwelling elephants move up and down the Hoanib River, feeding on the Ana trees and other shrubs along the length of the sand river. We all enjoyed the ‘elley-therapy’! Note the wide feet of the desert-adapted elephants, suited to sliding down sand dunes and walking on sand over long distances. 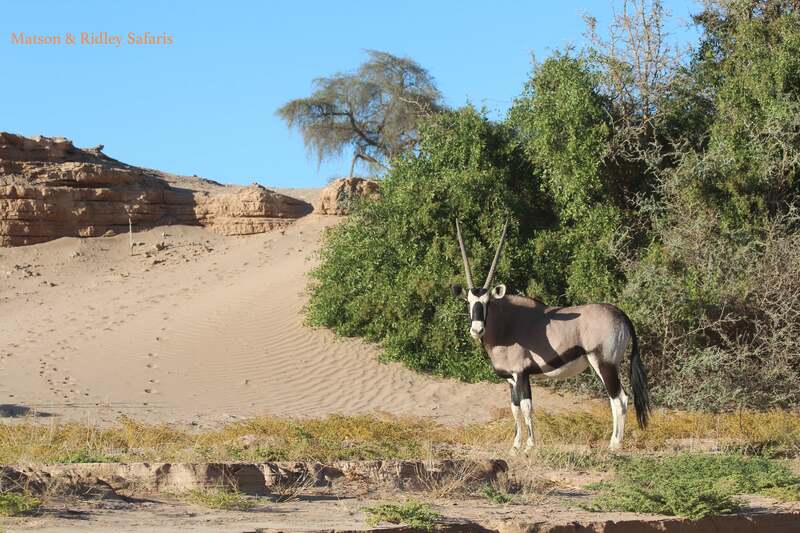 Oryx antelope – one of the most regal of all the antelopes, and the perfect desert survivor. Note the white underbelly and white on the lower legs for reflecting heat. The oryx practices nasal panting, which prevents the brain from overheating when standing in the desert sun at extreme temperatures. Like the springbok, they barely ever need to drink, gaining enough water from their food. This is something you don’t see every day! The photo isn’t the greatest but this was a rare sighting indeed. It started with our guide Elias spotting fresh cheetah tracks in the sand, but you could tell there were predators around as there wasn’t much game around this area. Then Leonie spotted her – a cheetah mother with small cubs! We kept our distance, giving her space, as with young cubs she was more wary and we didn’t want to spook her. And then as we patiently sat there, she crouched down and became very interested in something in the river. It was a male springbok. Well now things were about to get interesting. It’s one thing to see a cheetah in this environment, but quite another to see one kill a springbok, with two cubs running along behind her! It took the female almost half an hour to cool down after making the kill and dragging it into the shade. The two cubs were impatient to eat, tugging on the ears of the springbok and trying to open it up (without success!). If I didn’t know better, I’d never have known this chameleon was heavily pregnant with eggs, but you can see from the size of her belly. She was on the road, and our guides kindly surrounded her with big logs to stop other guides driving over the top of her. Below you can see the eggs she had just laid, something I had never seen before. In fact until this day I never even thought about how baby chameleons arrive in the world, so now we know! Eggs of said chameleon above. The guides told us she would bury these once we left her alone. What a thrill to witness this! 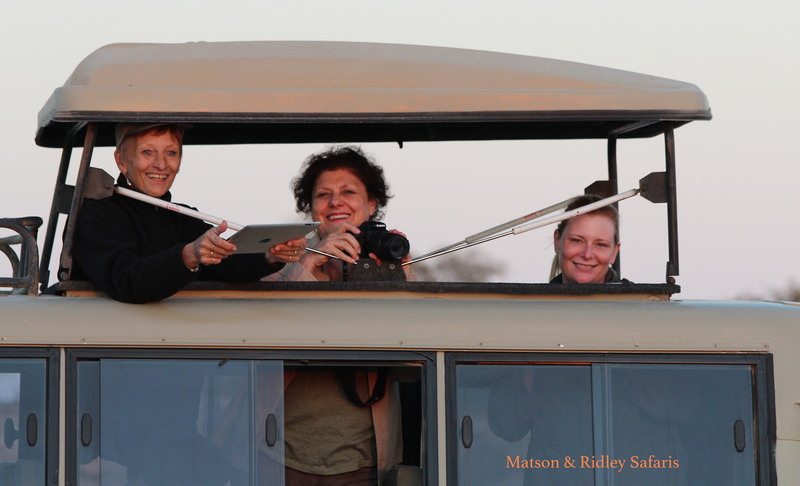 Maggie, Leonie and Joanne, ‘the Aussies’, watching the sun rise in the Wilderness Safaris land cruiser. We had everything from Canon and Nikon SLRs to iPhones and iPads in our collection on this trip. Helen brought along a new 600mm lens for her Canon SLR which really gave a good view of the wildlife, especially the kills. I had my 100-300mm Canon SLR which I used for all of these photos. I’m looking forward to seeing everyone else’s best shots. Post them on our Matson & Ridley Safaris Facebook site if you like! On an afternoon walk, I opened up a ball of elephant dung that was still wet inside and discovered fresh seedlings of Ana trees. 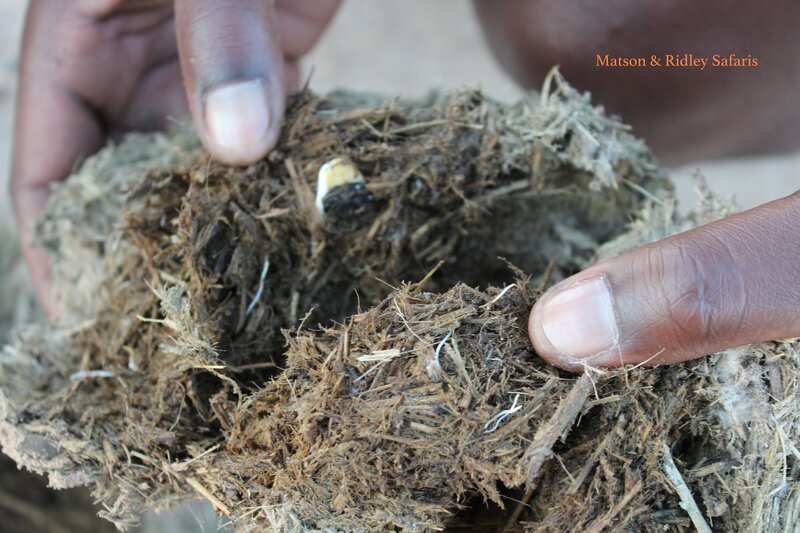 I often talk about how elephants distribute seeds through their dung and it was very cool to see the seedlings literally germinating inside this dung. Elephants are keystone species and the whole ecosystem depends on them. Dawn light is so amazing in the desert, although fleeting, and the full moon while we were there made for a really striking sight. A big ‘awww’ moment! 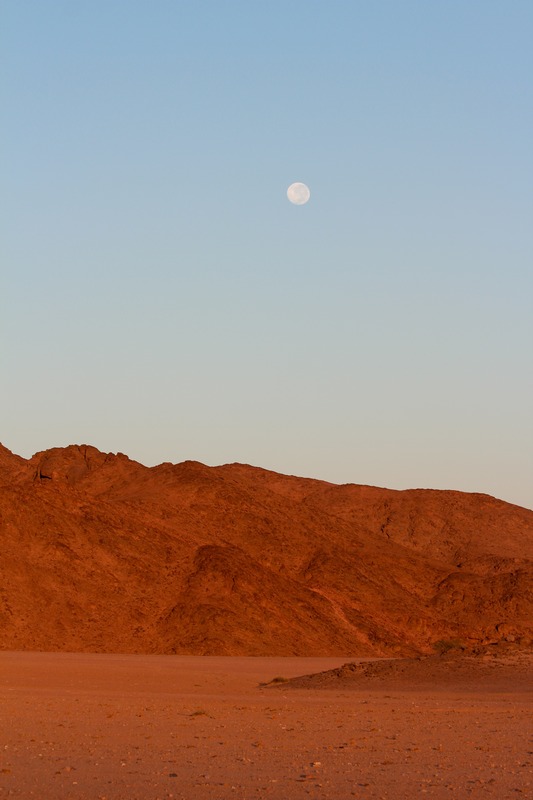 It’s the landscapes and the space that make Namibia so amazing. It’s a place to leave your mobile phone behind and just reconnect with nature and yourself. Tea time in the bush is always welcome. By mid morning, when you’ve been on a game drive since dawn, it’s definitely time for a cup of Five Roses South African tea and a home made biscuit, as well as a trip to the bush loo (after a quick check for puff adders and western barred spitting cobras). 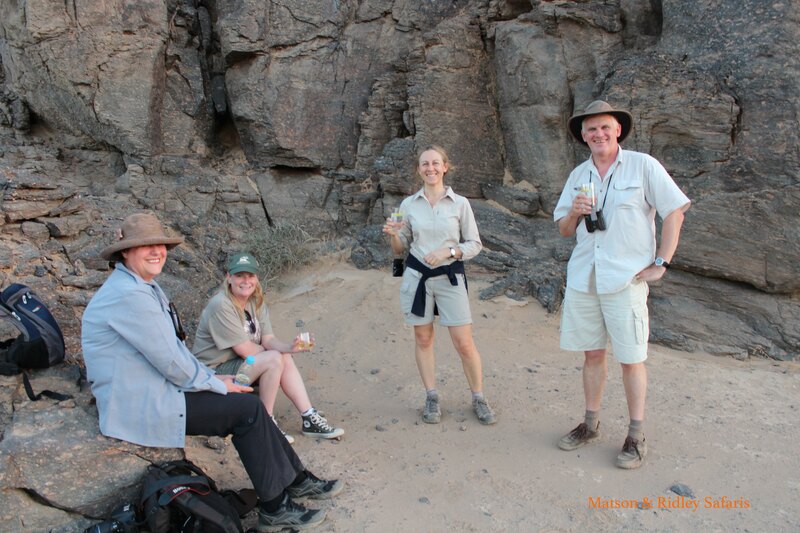 Here we pulled up in the Hoanib River bed, making sure that we were far enough away from the lionesses! Left to right: Patricia, Chuan Fong, Liberty, Tristan and Carina. 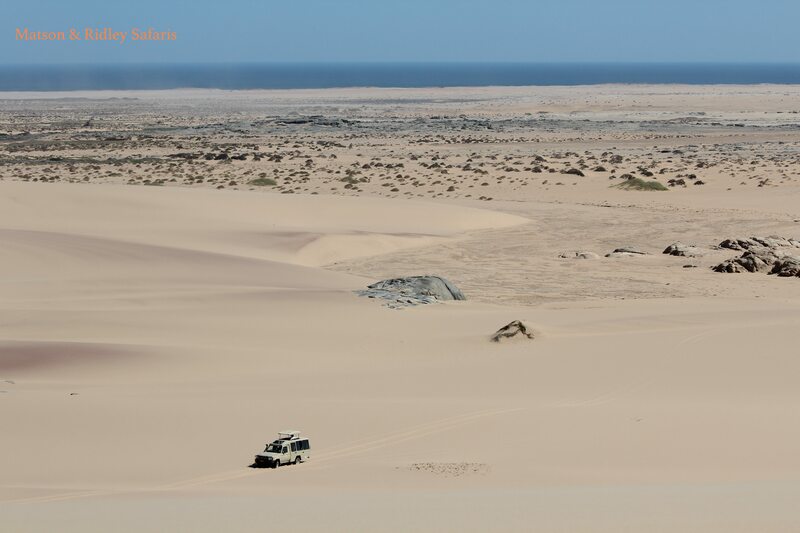 That first sight of the Atlantic Ocean in the distance as you cruise through the dunes through the Skeleton Coast is breath taking! This fragile ecosystem survives due to the fog, which creates moisture in an otherwise arid ecosystem. Tristan making his way up some of the dunes in the midday sun. 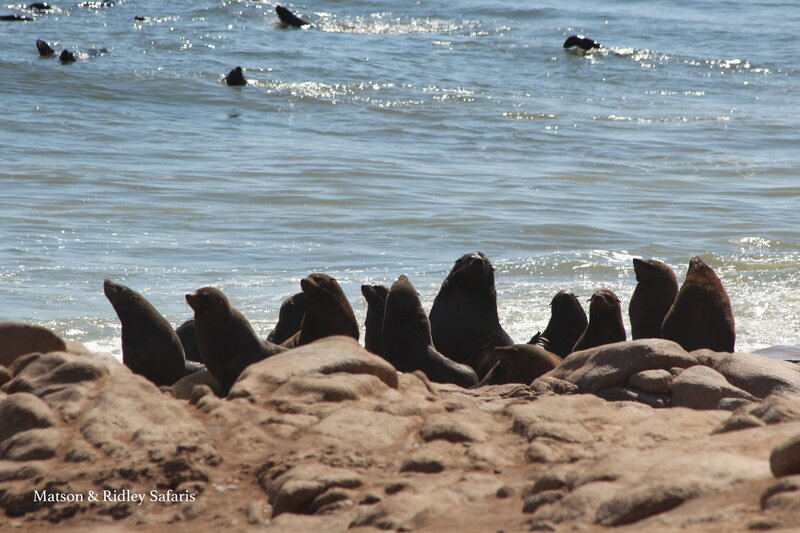 Cape Fur Seals form large colonies along the Skeleton Coast line and provide food for brown hyaenas and jackals (and sometimes lions). Lots of them were in the water on the day we visited, due to the East wind making it so hot on land. This photo was taken just near Merwe Bay. 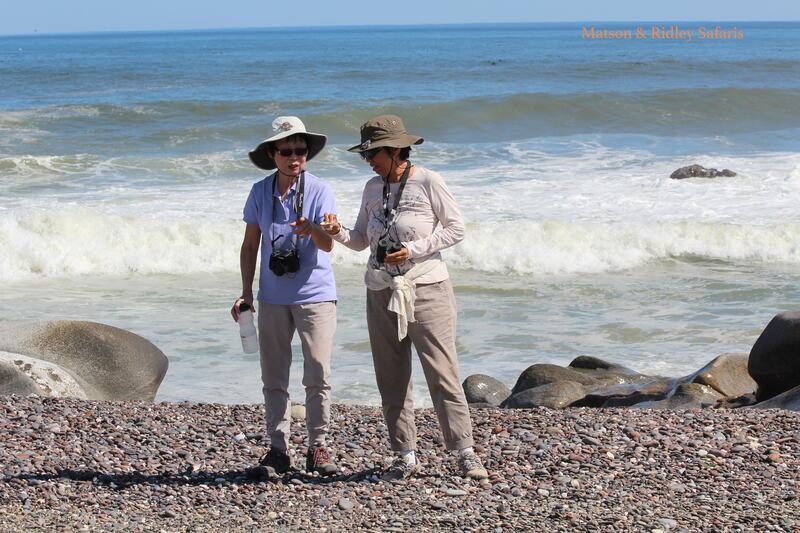 Patricia and Chuan Fong investigate the shells on the beach. A much needed bit of shade beside the Land Cruisers was taken advantage of during a desert lunch and a wee drop of some fine wines. Carina by the sea…. The energy you get when hitting the sea after a long drive through the dunes is something else! Oh the pure joy of a sundowner in Africa! From left: Leonie, Joanne, Carina and Tristan. Something you rarely see – water in the desert dunes! 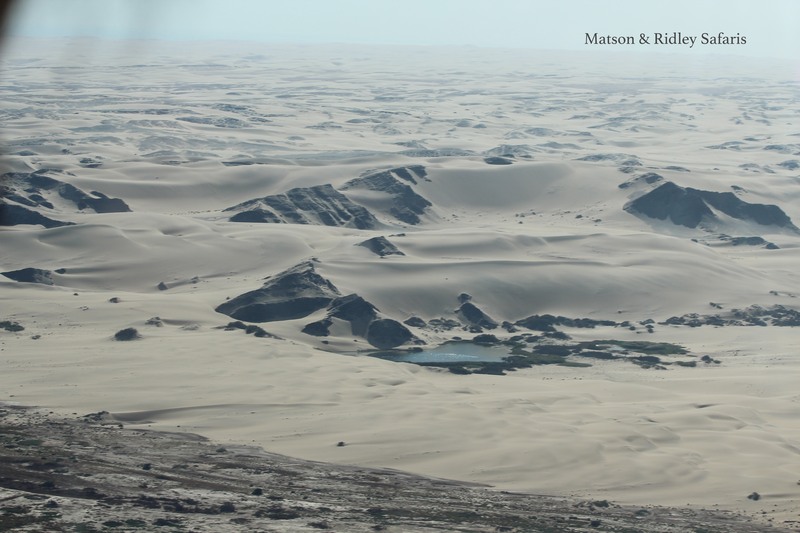 This photo was taken from the plane on the ride back to Hoanib Camp. 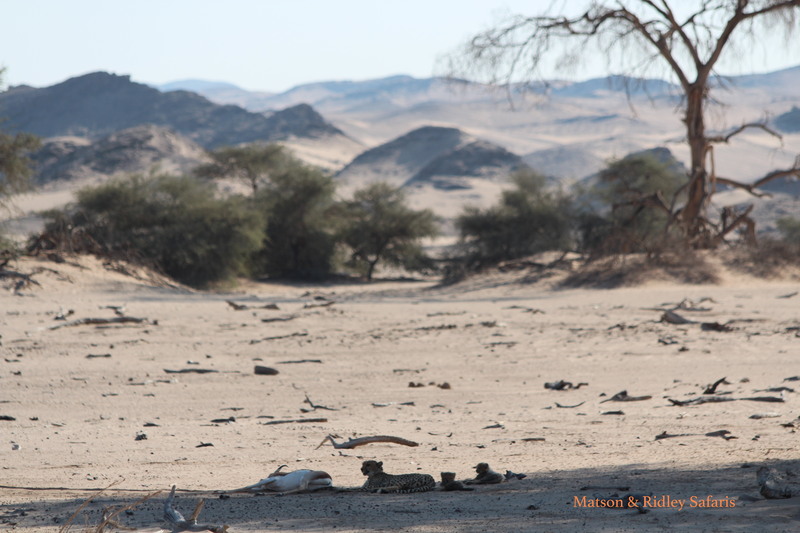 After the flood in January, there are still some waterholes left, creating amazing desert oases at the Skeleton Coast. This water will deplete and it could be another 5 years before the Hoanib sees another water flow. After 3 days at Hoanib Camp we set off for Serra Cafema, an hour’s flight north on the border of Angola. I’ll be blogging out it, with some incredible photos of this region and its traditional people, next week. Here’s a sneak peak, below…. 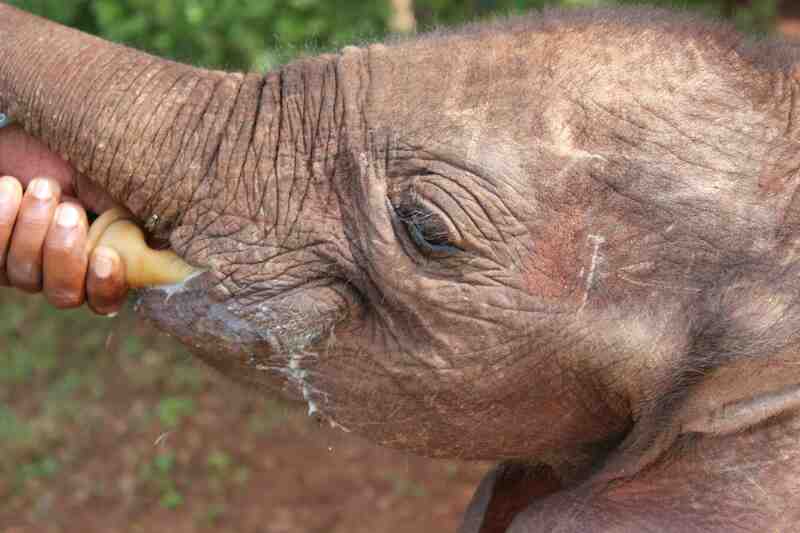 And more photos coming at our Facebook page, so please like us at Matson & Ridley Safaris on Facebook to see them. The week before last I went a shade of envy-green…. After finishing up at Earth Hour after 11 years with WWF, my husband Andy Ridley, who, as you all know, I love and adore, travelled to the Okavango Delta in Botswana – without moi! There he experienced the pure magic that only this part of Africa offers. There is simply nowhere like the Delta. Take a look at his photos to see why I was so jealous…. Andy has written the captions below each photo. 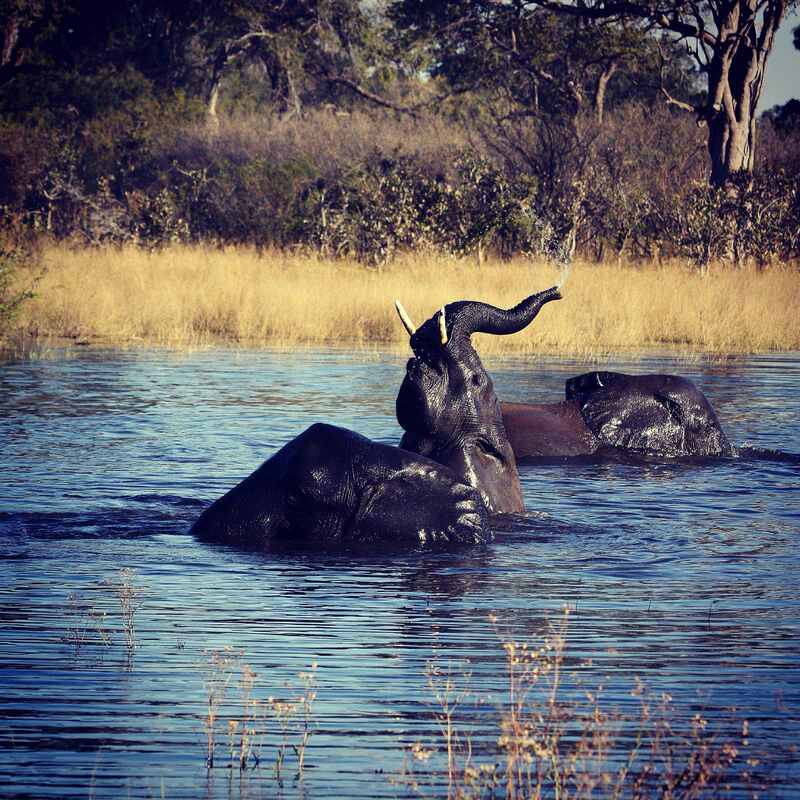 If you’d like to join Andy or me in Botswana next year, or if you’d like me to arrange your own personalised African safari through Matson & Ridley Safaris, drop me a line now! Remember that safari camps in the Okavango are incredibly popular, so if you want your choice of camps it’s best to start planning a year in advance. 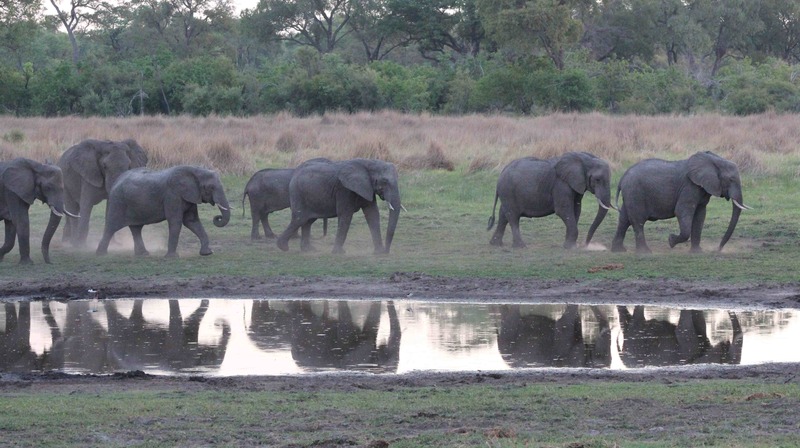 Heading out into the Delta from Vumburra Plains Camp, we came across this herd of elephants playing.